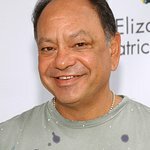 Last night, actor/comedian Cheech Marin (“Cheech & Chong” and “Lost”) placed third in the “Jeopardy!” Million Dollar Celebrity Invitational Tournament, winning $100,000 for the Hispanic Scholarship Fund (HSF) for this final round. Marin faced off in the finals against actress/comedienne Jane Curtin (“SNL,” “3rd Rock from the Sun” and “Kate & Allie”) and actor Michael McKean (“Laverne and Shirley” and star of Broadway’s “Superior Donuts”). McKean placed first and won the $1 million grand prize on behalf of the International Myeloma Foundation, and Curtin came in second and received a quarter million dollars for the U.S. Fund for UNICEF. These earnings are in addition to the $50,000 each received during the quarterfinals. Host Alex Trebek said, "I think it’s really remarkable that Cheech Marin, who won our very first Celebrity “Jeopardy!” competition 18 years ago, hasn’t lost a step. 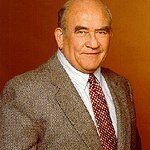 In fact, he not only made the finals of the Celebrity Invitational, but he is the only player who came up with the correct Final “Jeopardy!” response in the deciding game. He should be congratulated on his fine performance."